Spin the reels of the new Trigger Happy pokie with 35 free spins at Fair Go Casino! Redeem the bonus code HAPPY-SPINS to claim your free spins and win up to $180 if your last transaction was a deposit in the past five days. If you like the new game, use one of the bonus codes listed below to get a 100% or 150% bonus with 30-50 added free spins to play Trigger Happy. Good luck! 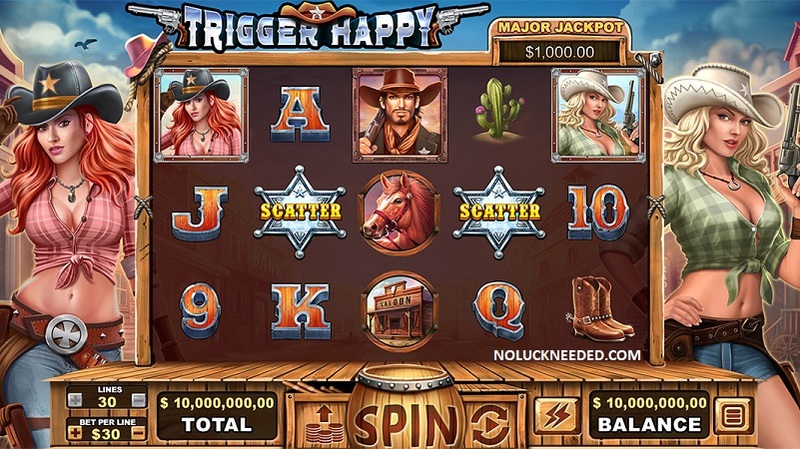 Free Spins Game: Trigger Happy | Deposit $20+. There is no maximum cashout applied to deposit bonuses | General terms apply. Valid March 27th until expiration date unknown. Deposit $50+. Free Spins Game: Trigger Happy. There is no maximum cashout applied to deposit bonuses | General terms apply. Valid March 27th until expiration date unknown. Play the Trigger Happy Pokie with Free Spins and Big Bonuses at Fair Go Casino!